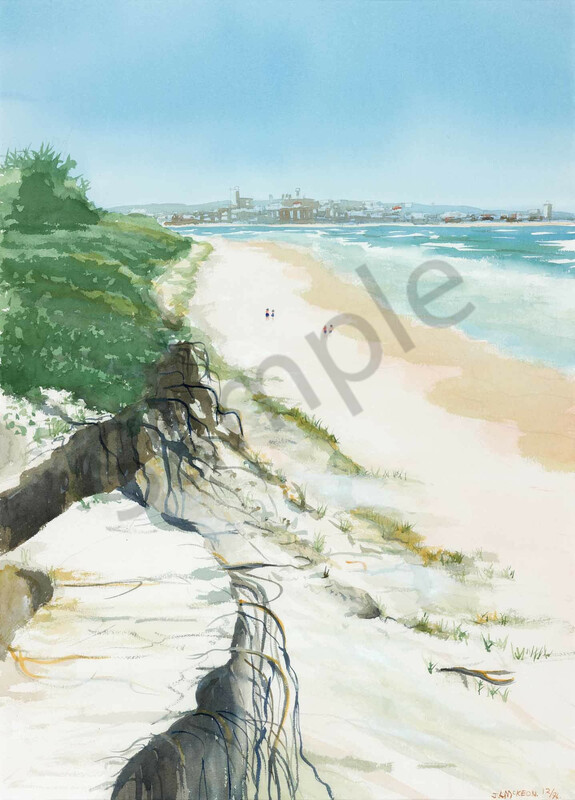 When we were staying at Caloundra, we rowed a boat across the passage to Bribie Island and walked on the ocean side where we could see Caloundra in the distance. I was struck by the contrast between the clean, pale sand and the dark tree roots winding and hanging down from the edges of the sandbanks. The cool blue sky and sea contrast with the warmer colours of the sand.